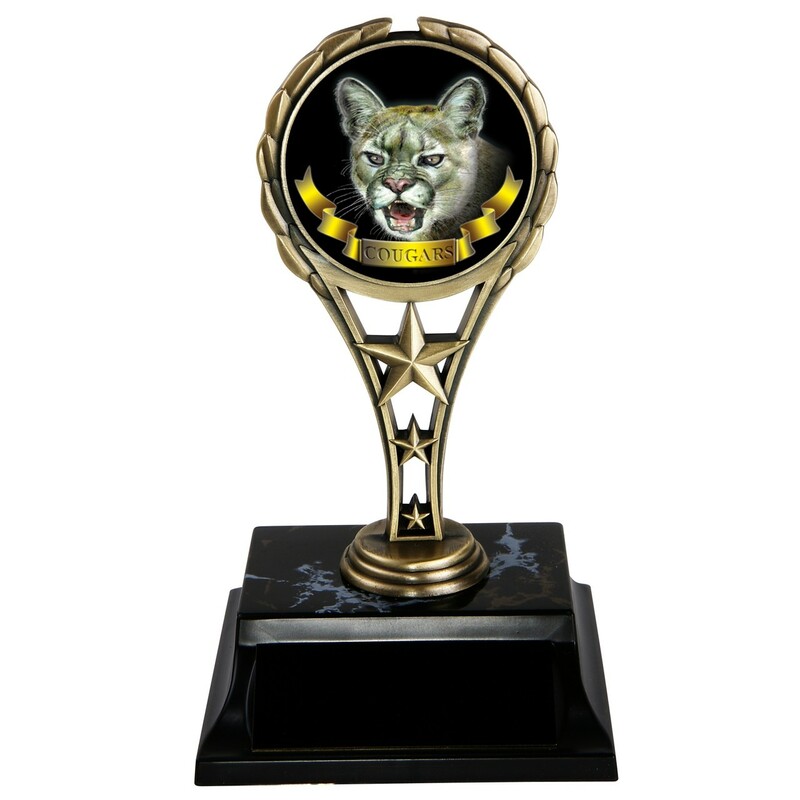 Award our fierce Cougar Rising Star Trophy to your favorite feline champion! Measuring 6 inches tall, this trophy features an antique-metal rising stars figure with a full-color cougar cat image attached to a black marble-grain base. Includes 3 lines of engraving.